Printed By – Senol Printing Ltd.
Ⓟ & Ⓒ 1976 The Decca Record Company Limited, London. With the release comes a 4-page insert / leaflet (seize 12' by 12') with notes in English, French and German. The gatefold cover (in the middle) contains the sung-texts in original English. 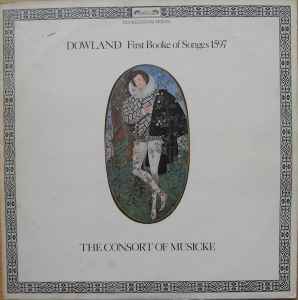 In the leaflet this release is mentioned volume 1 in a series of 7 with works of Dowland by 'The Consort of Musicke' (see image). Apparently in the end there were 10 volumes in this effort of 'The Consort of Musicke' to do the complete works of Dowland..